Luminescent Threads: Connections to Octavia E. Butler, a book of non-fiction essays addressed to the first major African American woman writer of science fiction, has been nominated for a Hugo Award, the highest awards for science-fiction and fantasy writing. Mimi Mondal was one of the two editors of the collection, and with this book became the first Indian to be nominated for the award. 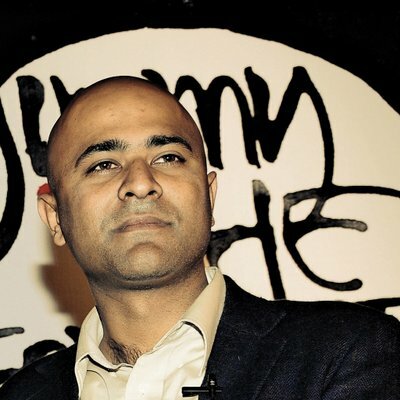 Mondal corresponded with Omair Ahmad, writing for The Wire, about the book, the nomination, the rise of racist and exclusionary movements, the impact of Butler – a pioneer in speculative fiction who discussed race and “otherness” – on the science fiction and fantasy (SFF) genre and South Asian SFF, among a variety of other issues. The interview has been lightly edited for clarity and style. Please tell us about Luminescent Threads, the book of non-fiction on Octavia Butler’s impact that you have co-edited, and which has been nominated for the Hugo Award. 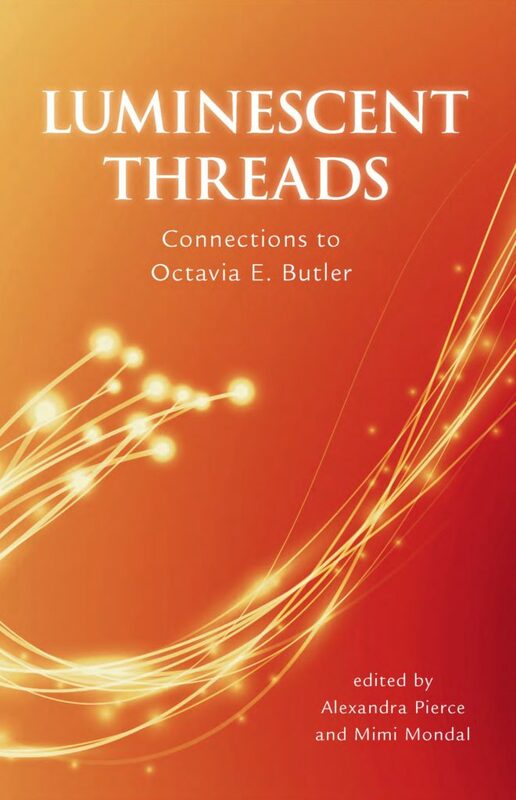 Luminescent Threads: Connections to Octavia E. Butler has been edited by Alexandra Pierce and me, and published by the Australian feminist science-fiction-and-fantasy publisher Twelfth Planet Press. It’s an anthology, but not of scholarly or critical articles. It’s closer to a concept book that champions a certain ideology. The contributors have written first-person letters, almost like fan mail, to Octavia Butler, who was the first major African American woman writer of science fiction and fantasy. The reason a book like this exists is that international (largely American) science fiction and fantasy has for a long time been nearly impossible for minorities to exist in. Even white women struggle very hard to succeed as well as actually feel safe in SFF. People are bullied, their lives and loved ones threatened, their home addresses and other personal details found out and abused by a certain section of gatekeepers and “fans” in the genre. Luminescent Threads is a first-person account of triumph in a hostile space like this, written in several voices. The year 2017 was the 70th birth anniversary of Butler, who passed away in 2006. Through a coincidence that’s hard for me to qualify as fortunate or unfortunate – fortunate for the book but unfortunate for the rest of the world? Is that even fair of me to say? – it was also the year of the US presidential elections. The results of the elections added an unprecedented vitality to the letters we received for Luminescent Threads, because now many contributors were talking about Butler’s works with respect to the world they were beginning to foresee in the near future. What was your role in the book? I am the editor, as opposed to Alexandra Pierce, who is the senior editor, for Luminescent Threads, which means I did a little less for the book than she did. Pierce is one of the in-house editors of Twelfth Planet Press. In 2015 she edited Letters to Tiptree, the first book on a similar concept, in which the contributors wrote letters to James Tiptree Jr., which was the pseudonym of Alice Sheldon. Letters to Tiptree won several awards, so the concept was already there when Luminescent Threads was conceived. Originally, the team had a different second editor. He had to retire for personal reasons, and Alexandra sent out feelers in the Octavia E. Butler Memorial Scholarship community – which covers the Clarion and Clarion West SFF-writing workshops – for a potential replacement editor, and found me. I have in the past been an editor at Penguin India, so I was a good match. The contributions had not yet come in. So I started working only from that stage: selection of received works, line and copy editing, giving opinion on the cover, the final title and everything else. There are very few South Asian names in the book. Why is that? There is exactly one other South Asian name in the book: Indra Das, who is also an internationally published SFF author as well as a former Octavia E. Butler Scholar from Clarion West, as am I. The way anthologies like this work is that the editors solicit some well-known authors they think may be interested in writing for the theme, while they also circulate an open call for submissions with a fairly long deadline. The open calls are completely democratic and put up on the internet, but just because something exists on the internet doesn’t mean everyone sees it. SFF writers and fans in India don’t usually interact with the international SFF community. They don’t read many newly published books. They often don’t even read stories that are published in online magazines. They don’t see these calls for submissions. Even when they do, they aren’t sure if the editors or the publishing houses are authentic, or the calls really democratic, since most literary opportunities in India aren’t. When I came into this project, the call for submissions was still open. I immediately tried to convince some of my SFF-reading friends from India to write. I shared the call on my blog and social media, hoping to attract some contributors from India. Nothing came through. Most Indian SFF fans haven’t read Octavia Butler. Even the couple of friends who had read and admired her works – those whom I spoke to – were hesitant to contribute. This kind of anthology was unfamiliar terrain for everybody. But I couldn’t convince anyone from India to take a chance on it. Maybe the next time they will. You did a compilation of speculative fiction from South Asia for TOR.com. Is there a difference in the themes in South Asia to those in the US, and other developed countries? Very specifically, I did a compilation of all the SFF authors of South Asian ethnic origin, on a scale that no one else I know had done before. This specification is important because like we’ve already seen, SFF writers and fans in South Asia don’t often interact with those in the US and other developed countries, so their ideas and preferences don’t interact either. The most important difference is that South Asians back in their home countries are the “standard humans” there, while South Asians in the diaspora have to grapple with being the minority – an optional flavour of human, often grossly stereotyped. A South Asian SFF writer writing for a primarily South Asian readership doesn’t have to explain their cultural context or inside jokes. 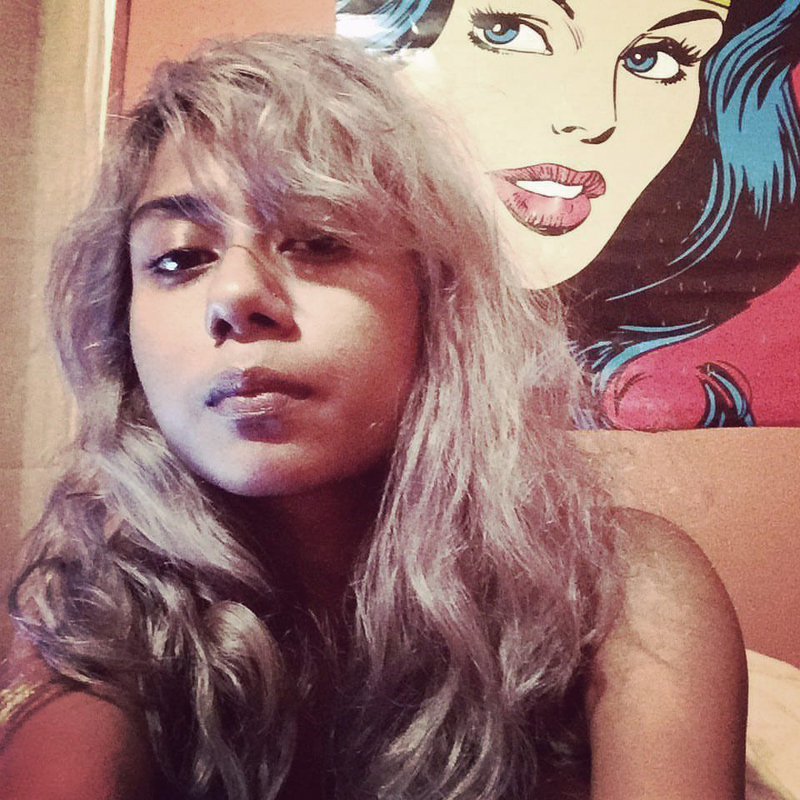 A South Asian SFF writer, wherever they may physically live, writing for a primarily Western readership, has to both explain their own context as well as engage with other contexts that are of current interest to that readership. This is more so because, internationally, South Asian SFF is still fairly new. In mainstream literature worldwide, South Asian writers have been popular for a few decades now, so a lot of international readers of mainstream literature already have some understanding of South Asian contexts. When Vikram Seth or Arundhati Roy publishes a new book, both South Asians and non-South-Asians read it, and nobody needs a glossary. To a large extent, it’s one and the same readership. South Asian SFF has not really got to that point yet. Much of Butler’s work is about negotiating the ‘other’, especially in her iconic Xenogenesis trilogy. Is there work like that in South Asia, speculative fiction looking at the other? I am ashamed to say that I’m not very aware if there is any. (This isn’t me saying there definitely isn’t any. 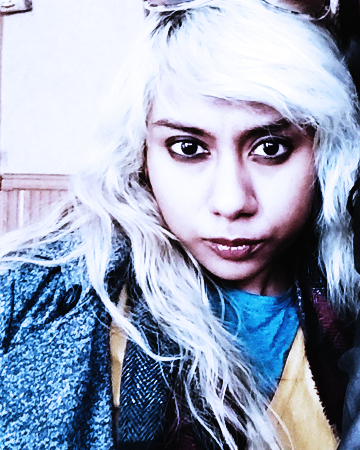 I am not the omniscient authority in South Asian SFF. I am still learning and discovering new writers and works.) In some ways all SFF is an act of negotiating the “other” – placing the human against the unknown and the uncanny. But a lot of current SFF from South Asia that I’ve read seems to only draw from much older classics and then interpret them in the local context, completely leaping over the large, prolific and extremely relevant body of contemporary international SFF. Do these works therefore have contemporary global significance, and can they thematically speculate on the entire fate of humanity if they don’t? These are questions I ask myself sometimes. Did you find any resonance between the complex ways that Butler functioned as an insider-outsider in a predominantly ‘White’ space, and Dalit writers and intellectuals in India? Ironically enough, I didn’t learn to be a Dalit writer or intellectual in India. I was always Dalit – I believe that word signifies an ancestry and not a political affiliation; one doesn’t have to “sign up” to be Dalit – but I was a “general” writer and intellectual, in the sense that I didn’t particularly interact with the Dalit intellectual space or know anyone. But what I did face a lot of, and what every Dalit faces in every profession whether they are Dalit-themed or not, was the disadvantage of being the outsider. When I was a child, even my own mother, who’s actually very supportive of my life choices and not like the stereotypical oppressive Indian parent at all, told me that I couldn’t possibly be a writer because she had never seen anyone from our background manage to do that. It didn’t even have to be anyone from my immediate family. India, to a large extent, is a very ancestral culture. When your last name is Mondal, you’re immediately identified as the outsider in a room full of intellectuals, unlike if your last name was Banerjee or Dasgupta, even if you weren’t directly related to anyone important with that last name. So, yes, I definitely identified a lot with Butler’s career and struggles. Even among liberals, who don’t directly put you down, you’re allowed just a little less validation, a little less authenticity just because of your name. You’re an ahistorical upstart no matter how well you have worked or for how long. I have been publishing for over fifteen years, but many people still call me an emerging writer, actually in praise. Why am I not perceived as a mid-career writer by now? Just like Butler will be a new writer to many people reading this interview, although she lived and published and had an illustrious career and even passed away over a decade ago. There is a great deal of pushback against diversity in the speculative fiction field – the Sad Puppies/Rabid Puppies list, for instance. The Sad Puppies and Rabid Puppies are groups of violent conservatives – mostly older white men – in international science fiction and fantasy who attack women, non-white people, LGBT and other minorities in the community. Their primary site of activity is the Hugo Awards, where they try to rig the voting process by bringing in their own bloc of voters. But they also harass and terrorise people outside it, including in physical spaces. These are obviously people who believe in science, are reasonably educated, technologically savvy, readers and often writers of SFF themselves. In India, people like that are not often understood to be conservatives. What the Puppies are really trying to “conserve” is the dominance of white men in the genre. They are “conserving” the casual racism, misogyny, homophobia and so on, which a lot of the older classics of science fiction are full of, alongside their perhaps scientifically and technologically accomplished visions of the future. Recently the Rabid Puppies were uncovered to have direct links with Milo Yiannopoulos and the alt-right movement. These are modern, futuristic, progress-loving conservatives. Just as long as the progress remains confined to their own community. Where this is going is very hard to tell. The best people in SFF right now are staunchly anti-Puppy. But SFF doesn’t exist in the exclusion of the outside world, and the outside world in recent years has taken a strongly hateful, alt-right turn. A lot of minority members of the SFF community – including myself – have become much more vulnerable in their lives overall. It is much easier now to endanger someone’s life and safety by pulling very few strings. I have seen several talented people retire from SFF in recent years because they did not feel safe anymore. These people had friends and supporters. But friends are not going to protect you everywhere in life if you’re being hounded by violent fanatics. If the outside world gets worse, even a handful of mediocre Puppies will be able to terrorise hundreds of more talented minorities away from SFF. We constantly struggle and guard each other against these threats in the community. Omair Ahmad is an author. His last novel, Jimmy the Terrorist, was shortlisted for the Man Asian Literary Prize, and won the Crossword Award. His last book was a political history of Bhutan and the eastern Himalayan region. Twitter: @omairtahmad.